What Can You Expect at Universal Studios? Will Your Family Have Fun? If you are planning a trip to Southern California, one of the theme parks you may want to visit is Universal Studios, especially if you like movies. This is your opportunity to see the back lot of a real, active movie studio, learn about how they create special effects, and enjoy several fun amusement park rides and shows. Our children are now adults, so a trip to Universal Studios Hollywood was a fascinating treat. We especially enjoyed the Studio Tour, which is an approximately hour long tram ride through the Universal Studios back lot, where movies and TV shows are often filmed.It includes a ride down New York Street and Wisteria Lane, as well as past an old west town known as "old" Spanish Village, which has been used in many westerns. Drive past the Bates Motel and a plane crash, and much more! As part of the Studio Tour, you will also get to experience the new King Kong 360 3-D ride, be attacked by the shark from "Jaws," and discover what it would be like to ride out a Southern California earthquake. The new King Kong attraction replaces the older one that was destroyed by fire a few years ago. It was a spectacular experience and I highly recommend it! A family friendly attraction at Universal Studios was the Special Effects Stage. This is a live show which demonstrates the various ways that special effects are created in movies and television shows. Even the youngest children in the audience are fascinated by this demonstration, and it provides many teachable moments which will help your children understand why they need not be afraid of the "scary" parts in the movies. Additional attractions that our family enjoyed were the Jurassic Park Ride (best water plunge ever! ), and the House of Horrors. The park also features a show using Universal's Animal Actors, as well as rides such as the Terminator 2:3D, Shrek and the Simpsons virtual roller coaster. There is also a small area of Universal Studios which young children will enjoy, including the Flintstones Carnival Games and the Curious George water play area. One way to save time entering the park is to purchase your tickets online, and print them out at home .People who have an Annual Pass also have their own entry gate, which seemed to move quickly. The Universal Studios Studio Tour gives you glimpses of many streets where movies are actually filmed. The tram ride is my personal favorite attraction at this theme park. Universal Studios Hollywood gives its patrons a unique opportunity to see the places where some of their favorite Universal Studios movies and television programs have been filmed. It is also an excellent way to learn an appreciation of the history of film making and discover how some of the special effects are created. The Revenge of the Mummy Ride is considered one of the scariest indoor roller coasters in North America. The Studio Tour is a fascinating tram ride through the Universal Studios Hollywood back lot where you will be able to see the actual facades of buildings from some of your favorite movies and TV shows! Visitors can also watch stunts performed at the Water World show. If you are considering taking a young child to Universal Studios Hollywood, many of the attractions will be too frightening for them. The park attempts to mitigate this by having Child Switch at some of the attractions. This allows one adult to wait with the children while the other adults in the group enjoy the ride. Then, the remaining adult can switch places and take his turn on the ride. The rides that have child switch are: Revenge of the Mummy, JurassicPark, House of Horrors and the Simpsons. However, how much fun can this be for the children? The day we attended, the traffic getting into the park was quite heavy. However, there is a way around this proble We drove right past a long line of waiting traffic right up to the front gate, and our car was valet parked. I highly recommend this for anyone who is impatient with heavy traffic. Once we got inside, there were more long lines in the park. The only way to avoid them is to arrive early or pay substantially more for an upgrade to either a Front of Line Pass or a VIP ticket. We did the Studio Tour tram ride first, and were very happy that we had made that decision. Although we waited an hour for the hour long tour, when we were finished the line was twice as long! I would highly recommend Universal Studios Hollywood to adults and children over about the age of 8 or 10, as long as they are not easily frightened or subject to severe motion sickness. Preschool age children would still find the park enjoyable; however, they would not be able to enjoy some of the attractions. In particular, I would recommend Universal Studios Hollywood to anyone who in interested in learning more about how movies are made! Family Fun: Your California Beach, Golf and Disneyland Vacation! Make sure you are aware of all the fun things to do in Southern California. 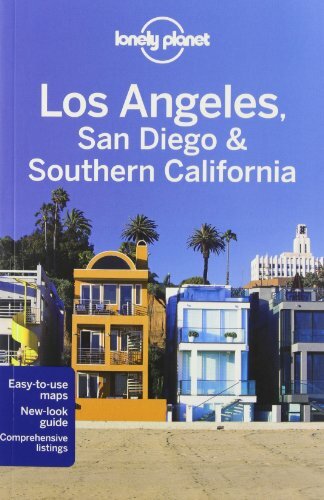 You will love this handy guide book, even if you are a long-time resident. Great review Deborah-Diane! I'm looking forward to experiencing the new King Knog 3-D attraction, thanks! This was a really fun article for me because I haven't been to the park in so long. Lots of new adventures for me to experience. I'll have to visit again once the tourists are gone. I think you would both enjoy Universal Studios Hollywood. The new King Kong attraction, alone, is an incredible experience! I've never seen anything like it! Thank you for the universal studios hollywood review. It really sounds like a pleasant experience. Our family enjoyed our day at Universal Studios - Hollywood. However, it is not a good choice for all families. Read my review before you go!